Happy fall! The weather is gloomy and all I want to do is curl up under a blanket, watch movies, drink tea, and eat comfort food. 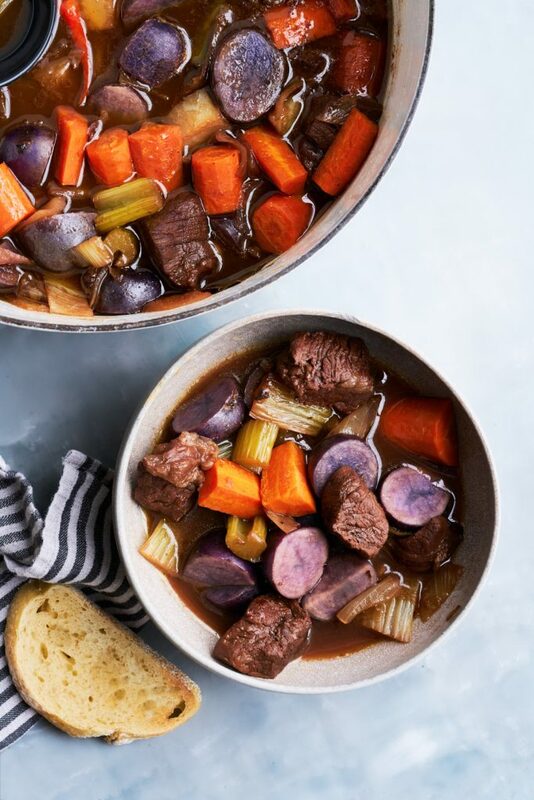 Today I’m making my red wine & honey braised beef stew, and I am excited to share with you my fall pantry essentials that help minimize trips to the grocery store and keep my dinners delicious & comforting. 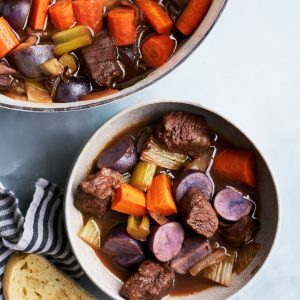 This stew has quickly become a favorite in our house…sweet, a little bit of spicy, and all that tender, juicy beef…it’s just perfectly comforting. So if you find yourself with wine that is no longer good to drink, keep it in the pantry for this pot of deliciousness! Heat 2-3 tbsp of olive oil over medium-medium/high heat. Season the meat with the salt and pepper. Sear on all sides until brown. Remove from pan and set aside. In the same pan, add the onion, fennel, & celery. Brown the vegetables. Add garlic and ginger. Cook for ~1 more minute. Add orange juice, honey, red wine, bay leaf, cinnamon, star anise and chili. Allow the alcohol from the red wine to burn off. MAKE SURE ALL THE ALCOHOL BURNS OFF. It shouldn’t smell like alcohol at all. Return the meat to the pan. The meat needs to be covered by liquid, so add more orange juice if necessary. Bring to boil. Lower to simmer, and simmer ~30 minutes with the lid partially on. Add the carrots and potatoes, cover, and cook 20-25 minutes until the potatoes pierce easily with a fork. Serve with sliced rustic bread…Enjoy! 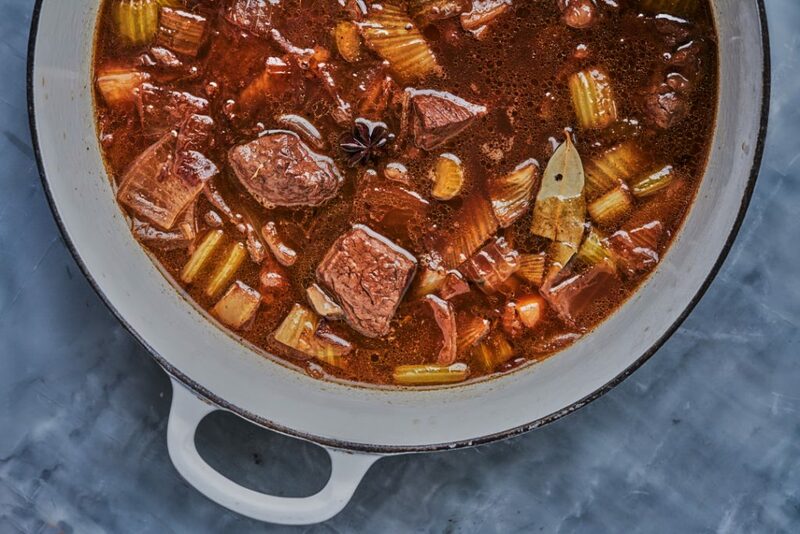 This stew has quickly become a favorite in our house…sweet, a little bit of spicy, and all that tender, juicy beef…it’s just perfectly comforting. And guess what? Most of the ingredients were already in my pantry because I stocked up for all the fall baking and cooking I’m planning to do! And if you find yourself this season with wine that is no longer good to drink, keep it in the pantry for this pot of deliciousness! Spices & Oils: In the fall I find myself baking up a storm, so I make sure to have cinnamon, cloves, nutmeg, ginger. Also, for ciders & stews, I keep cinnamon sticks, whole star anise, & bay leaves around. And of course, pink himalayan sea salt, coarse pepper, a quality olive oil, and avocado oil. Olive oil is my go-to for cooking, but I also like to keep avocado oil in the pantry. It is a great flavorless oil for marinades and cooking. Other: Jams, grains, pasta, pasta sauce, honey, and maple syrup. It’s the season for pancakes, waffles, and maple syrup pies & pastries…check out my perfect-every-time maple syrup pumpkin pie here. If I don’t feel like cooking and there’s pasta & sauce already in my pantry. Keeping it in the pantry makes it more likely that I’ll make it instead of ordering take-out. Flour & Yeast: With flour in the pantry, it’s easy to whip up some pizza dough, homemade bread, and other baked goods when I’m home instead of sitting on the couch and watching TV. Pantry Vegetables: Potatoes, onions, garlic, ginger, & hard squash should all be kept in the pantry, not the refrigerator. The best part? They keep for a very long time, so be sure to buy in bulk…it’s more economical. 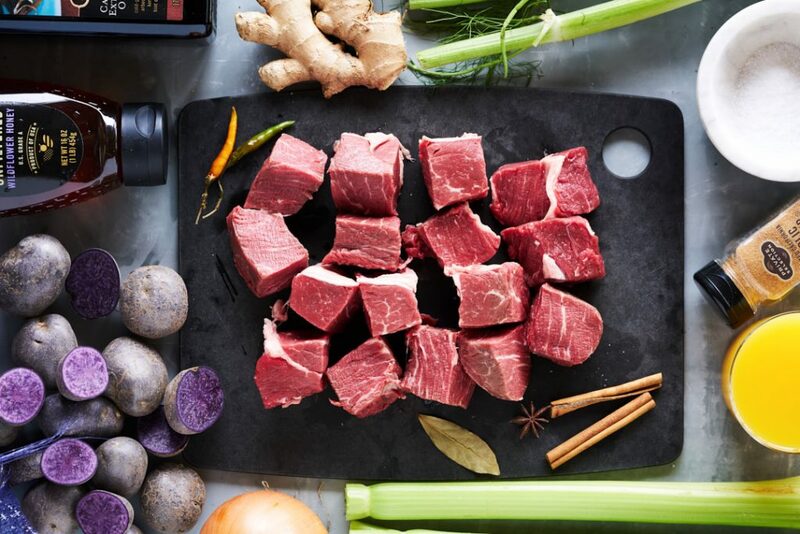 So stock up, check out Kroger’s recipes & over $50 in digital coupons, and let’s get cooking! 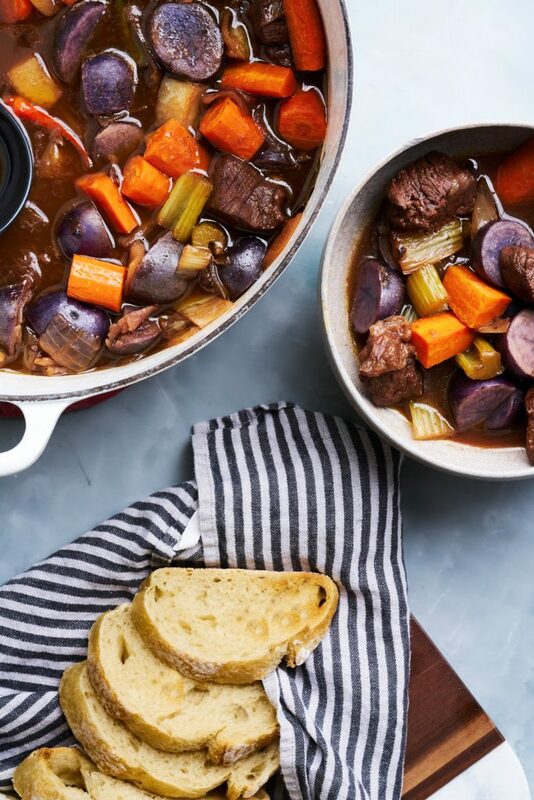 Looking for more stews other than this red wine and honey braised beef stew? 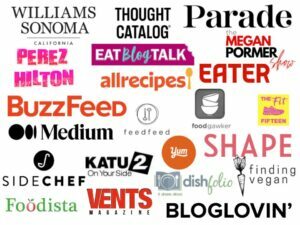 Then check out some of these delicious recipes! And shop my favorite stock pot here. It’s pricy, but will last you forever. 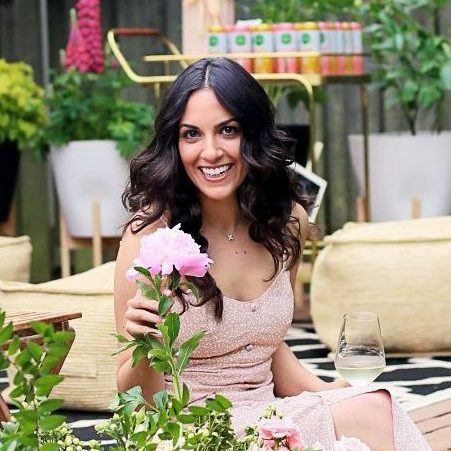 Thank you, Kroger Co., for sponsoring this post. The content and opinions expressed here are all my own.